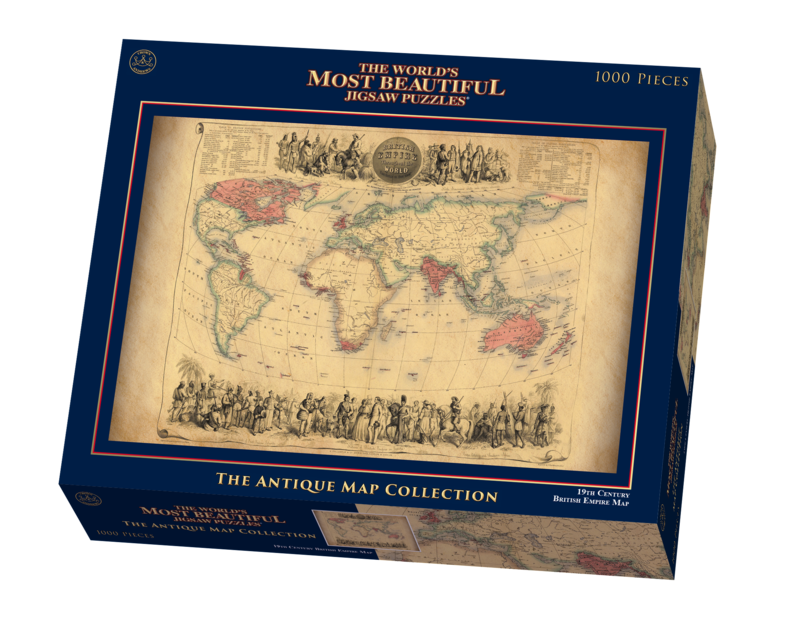 The World’s Most Beautiful Antique Maps are treasure troves of detail and interest at a time when much of the earths surface was still undiscovered. They provide us with a view into a world which was full of superstition and myth, and yet at the same time, in search of enlightenment and reason. The world they represent is a world full of assumptions and false certainties combined with the air of superiority of the dominant European civilization of the time. The detailed map of British possessions in the Victorian 1850’s was created by the map makers John Bartholomew and Co who were established in Edinburgh Scotland. In the 1830’s. The firm secured the commission to produce maps for the Encyclopedia Britannica, holding this position for the next 90 years. The firm were then the first to use red or pink to indicate British possessions around the world, a feature which became common to most maps for the next 100 years. In this map, which dates back to the 1850’s states in notes at the top of the map “The British Possessions are engraved in a bolder character and coloured Red”. The map is also framed by idealized images of friendly encounters between British colonists and indigenous inhabitants in four different parts of the Globe: Australia, North America, British Asia, East Inidican islands and the Cape Colony in Southern Africa. It is highly detailed and decorative and it appeared in Fullarton’s Royal Illustrated Atlas which was first published in 1864 after being issued in 27 parts from 1854-62. The tables shown include the size and population of the British possessions at the time of publication. Dated: 1850-1859.